By Boustead Consulting Limited Office in AUSTRALASIA. By Serra Maschinenbau GmbH Office in Casino, AUSTRALIA. 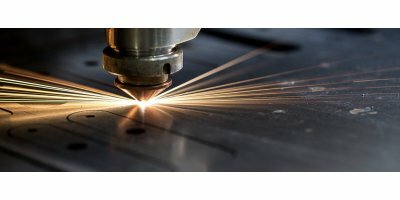 Using state-of-the-art laser technology from Trumpf, we are able to process sheet metal sizes up to 4000 x 2000 mm and strengths of up to 20 mm. Fumigation sealing, grain driers, sweep unloaders, portable drive over pits and conveyors, transport conveyors, bulk weighers, samplers & truck probes, bucket elevators – up to 2000tph, belt conveyors – up to 2000tph, drag conveyors , towers & catwalks, aeration equipment, grain loops. By Silo Services Pty Ltd. based in Bendigo DC, AUSTRALIA. Whether it’s in the natural gas, crude oil or carbon market, Summit Energy doesn’t just tell you where prices are headed and leave it at that. We lead you to the finish line. Landloch’s experienced and accredited technical staff provide a range of vegetation management services, including: Spot spraying of weeds; Broad acre spraying of major weed infestations; Cutting and stump-treating saplings; and Use of chainsaws and brush cutters to reduce vegetation loads. By Landloch Pty Ltd based in Toowoomba, AUSTRALIA. By Shane’s Trees Professional Arborists based in AUSTRALIA. Macquarie has a specialist capability working with institutional investors on private capital transactions across both debt and equity markets globally. By Macquarie Agricultural Funds Management (MAFM) based in Sydney, AUSTRALIA. Macquarie Capital's principal business, with its entrepreneurial, specialised service, is a key aspect of our strategy. We have a proven track record of providing capital to clients through the cycle. By SKIOLD A/S Distributor in AUSTRALIA. The environments that can be considered range from a simple interior space to a multilevel interchange, tunnels, complex auditorium or assessment of external lighting including mines playing fields or mobile plant. By Noise Mapping Australia Pty Ltd. (NMA) based in Forest Lake, AUSTRALIA. By Hustler Turf Equipment Distributor in Christchurch, NEW ZEALAND. By Phosyn Analytical based in Andrews, AUSTRALIA. By Mission NewEnergy Limited based in Osborne Park, AUSTRALIA. Original spare parts for JAG components or third party components used by JAG are vital to ensure smooth running of plants and products delivered by us. Don’t hesitate to contact us. We will be happy to advise you and guarantee that you receive the correct spare parts of the right quality. By JAG Jakob AG Prozesstechnik Office in Brunswick, AUSTRALIA. NSW Department of Primary Industries advisory and extension networks comprise specialist extension, communication and education staff located at more than 70 offices. The offices are geographically dispersed across New South Wales, affording a close relationship with the rural community and primary industry. By NSW Government - Department of Primary Industries based in Orange, AUSTRALIA.